I owned this microwave for one and a half years. In that time I was most impressed with the sleek finish and large size. It does everything you would expect of a microwave (boil water, popcorn, reheat food, etc). The preset, by weight, settings are a little hit or miss, but all in all pretty good. 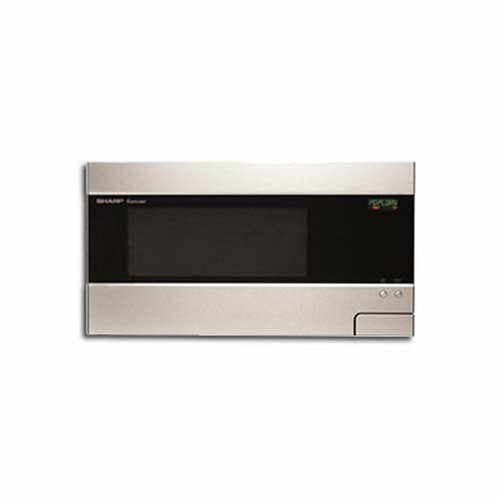 Generally, I like to manually adjust the power level and this microwave does a great job with that. For instance, melting butter on power level one or two melts the butter without boiling or liquefying it. Looks great, works great. The ergonomics of having the touch pad in a location where you have to have the door open to access takes right much getting used to. Put the food in, punch up the time, power setting, etc, then close the door and press the start button. Sounds easy - well it is but it is something one has to get used to - seems to me a frivolous try to be different and to have a featureless look. And since they have the touch pad hidden - it would have been better to have the touchpad white with black letters - as it is much easier to read than white on black. Safety with efficiency and great appearance too! 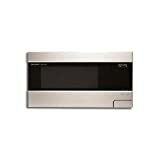 Recently we purchased the SHARP R-426LS Family Size Countertop Microwave.